We have just booked our getaway for Easter without the kids to the Carribean, so with images of dusty white beaches and indigo pools floating around my head I have had to come to terms with the awful visage of bikini wearing! With this in mind it has been much easier to “Eat French” than usual and am 3lbs down in only a few days, I would like to loose 10lbs though, so still a bit to go, but I have 7 weeks. I have been reading Anna Barone’s fantastic Chic and Slim books as motivation. I already own Chic n Slim but this week her second book Chic and Slim Toujours was free on the Kindle and so I also treated myself to Chic and Slim Encore for £2.75 These books are so inspirational, if like me you need reminded to make the right choices instead of taking the path of least resistance. They also appealed to the bargain hunter in me. I am also reading Kate Morton’s The Distant Hours, which I have borrowed from my local library. I loved her first 2 books, they are so evocative. She always sets up an intriguing mystery which keeps you coming back. I am about a third of the way through, but at 670 pages I think it may take me some more time. I am really enjoying it though and so I am trying to savour it. I need to get a couple of great novels for my holiday to download to my kindle, any suggestions? I have eventually succumbed to the Beauty Bloggers favourite quick cleanser and bought some Bioderma Crealine, I got it from Ebay as it not available in-store yet in the UK (though I have heard it is coming!) I must say it does exactly what it is supposed to, It removes so much more of your make up than standard cleansers and also leaves my pores tightened. It does all this without any irritation. I am using this on a morning to freshen up, before applying my make up, and occasionally on an evening if I have been out and don’t feel like doing my full nighttime skincare routine. I mentioned in my post on what didn’t make my decluttering cut, that I have stopped using shampoos and conditioners with dimethicone in them. I have had to give up my beloved Herbal Essences as it left my hair silky but also tragically flat! I have tried the Tres Semme Deep Cleansing Shampoo as I was reliably informed that it was great at removing non water soluble silicones from you hair, and it has done a great job. I then had to find a silicone free conditioner so I decided to give Tres Semme another go (mainly because it was on 2 for £5) and tried their naturals range of conditioners.I have been impressed, they detangled my hair after shampooing but left no heavy feeling when dried. I have always avoided the Tres Semme brand as it had the most awful adverts and the packaging sucked, but it goes to show that you shouldn’t judge a product by it’s marketing team or pricing. I have tackled this in a big way and I now feel I have gotten it under control. I am using cash for all my purchases (even food shopping) and it is really helping.I have been reading books that I already own or getting them free or at least very cheap. I have also set a realistic budget. My Huband is great at this and has really helped me. I am doing so well here, I cleared out my office yesterday and removed so much unnecessary stuff, I sold about £50 of books on Amazon and gave a lot more to the charity shop. I cleared most of my things from the desk and just left what was absolutely necessary I have been trying to strip away all the rubbish in every area of my life so that I can enjoy the really special things I own and be able to use them. I still have so much to go but the house is already looking better for it. We have taken a big step and cancelled the cleaner. I first hired a cleaner when I was 6 months pregnant with my son and we had just moved into a much a larger house and I had 2 children and a dog already. At first she was very much needed to keep the house under control, but as my son has grown up I am finding I have the time, and also the inclination to clean again. I hate the feeling of having someone in my home and regularly use to go out to hide from the cleaner. So far so good, but I am sure the novelty will wear off. My husband has been on a business trip to the US so I have been able to watch more films than usual in his abscense. It has been such a treat to just pick them and not have to compromise. My degree is in Media Studies and so I am a completely unapologetic TV and film viewer. This was the second time I have watched this, and enjoyed it just as much. I love the idea of being able to retain anything you had ever read and access it. I am a natural information glutton so this film really appeals to me. I first watched this at University when I was 18, I fell immediately in love with the imagery and also Clare Danes and Leonardo Dicaprios portrayal of the star-crossed lovers. When I wed my husband I used the scene where Juliet is on her Bier as inspiration for our wedding ceremony (that sounds really weird when I put it like that) We lit the entire venue with hundreds of candles. I don’t really do Chick Flicks but this one I make an exception for. Great outfits by Cameron Diaz throughout and an adorable story line. 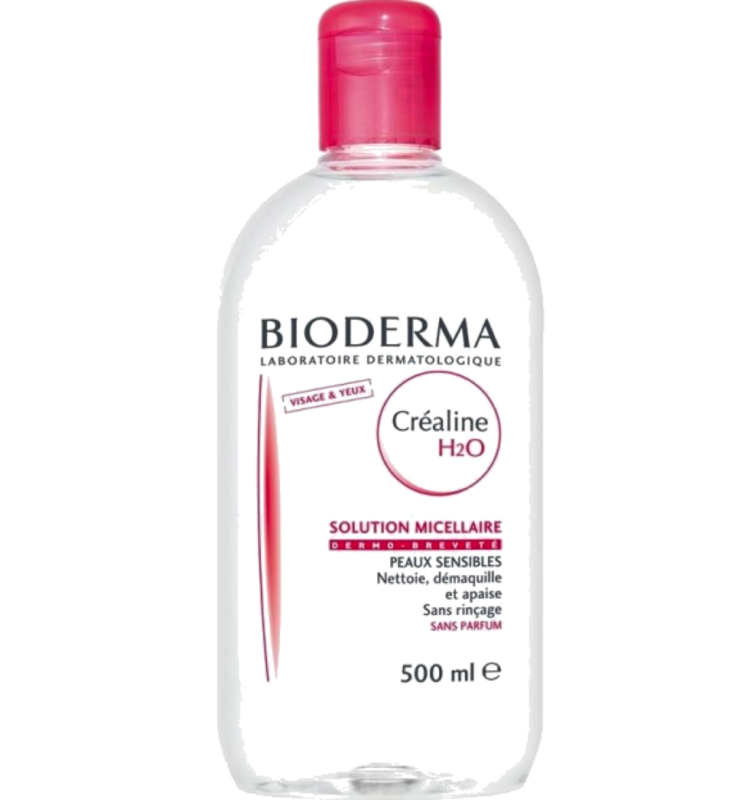 The Bioderma is a siren song. It's rather pricey in the U.S., so I opted to try Sephora's Triple Action Water Cleanser, and I quite like it. I was inspired by your makeup clutter/de-clutter post. I've had to be honest with myself about my makeup reality. In theory, I'd like to wear an edgy look and sport a smokey eye almost daily. In reality, I hate to fuss beyond mascara most days.